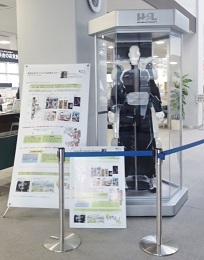 HAL® is on the display at Tsukuba City Hall 1st floor. Please stop by Tsukuba City Hall and check it out! This entry was posted in HAL, News, TOPNews. Bookmark the permalink.